Get it while it's room temperature! Catch the Throne, 2014's most distinguished collection of fantasy inspired gangster rap is now available for streaming. The low point of Big Boi, Common, and Daddy Yankee's careers inserts raps reaching for plot relevant themes over remixed chunks of the Game of Thrones original score. 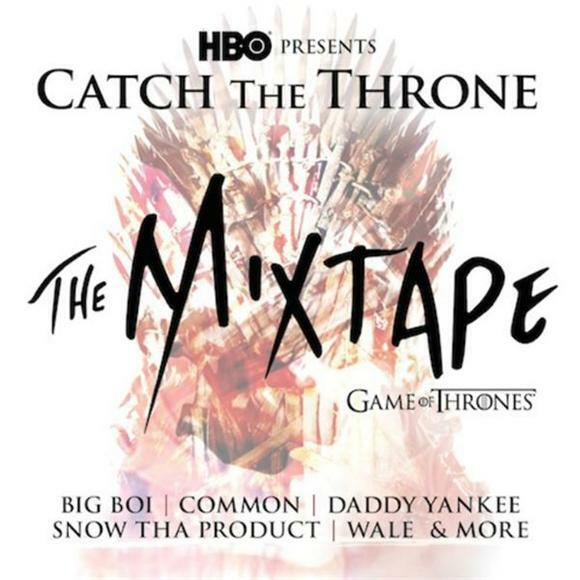 Put your hands in the air if you're insulted by HBO's poorly executed, somewhat racist mixtape promotion intended to get rap fans (minorities guys, that's HBO's press appropriate way to say minorities) amped up for Game of Thrones in time for season four. I can assure you that Catch the Throne will not be attracting any actual rap fans, but we think it has an audience yet. To check out our track/fan pairings, just play the track and watch the fans [attempt to] get down.